Oslo, Norway, October 6, 2016 – We’ve updated our 3D furniture library with new appliances and finish options. Now it’s even easier to design your kitchen. Layout your kitchen and experiment with new appliance options and finishes to create the perfect kitchen design! We’ve added new appliances to our 3D furniture library. You’ll find more cooktops, freestanding ranges, professional ranges, range hoods, refrigerators, freezers, microwaves and more. Plus, all the new appliances have the Replace Materials feature! With Replace Materials, you can change the finishes on your appliances. Find the finish that best suits your kitchen design. The new kitchen appliance models are available to all our subscribers. The Replace Materials feature is available with a RoomSketcher VIP and Pro subscription. In case you missed it – we’ve also updated the materials options for kitchen countertops and cabinets! Now you can try cool, on-trend metal finishes and beautiful wood finishes on your cabinets. Experiment with different countertop materials – granite, marble, slate, Corian, quartz, metals and more. Try different cabinet colors – choose one from our materials library, match an existing color or create your own with our custom color picker. Now it’s easy to find the perfect countertop finish to compliment your kitchen cabinets. 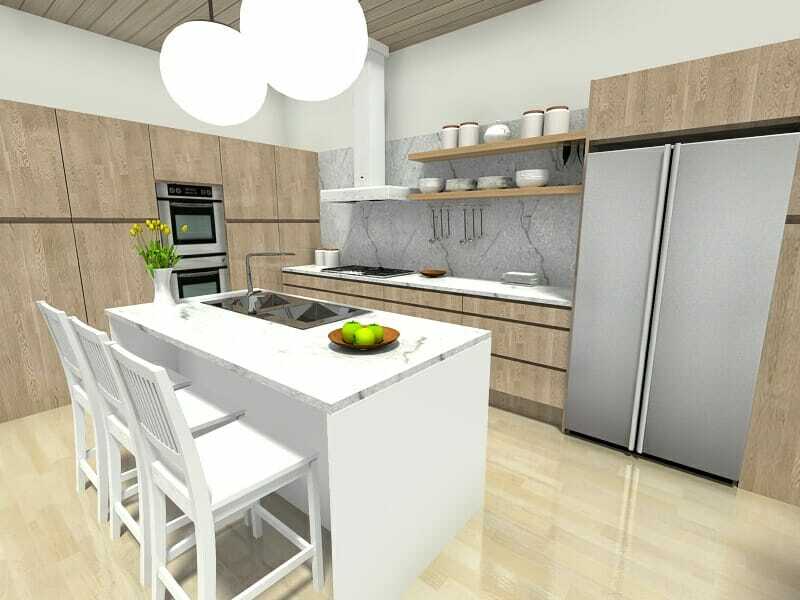 The Replace Materials feature for kitchen cabinets and countertops is available with a RoomSketcher VIP and Pro subscription. Not a RoomSketcher user yet? RoomSketcher Home Designer is an easy-to-use floor plan and home design tool. 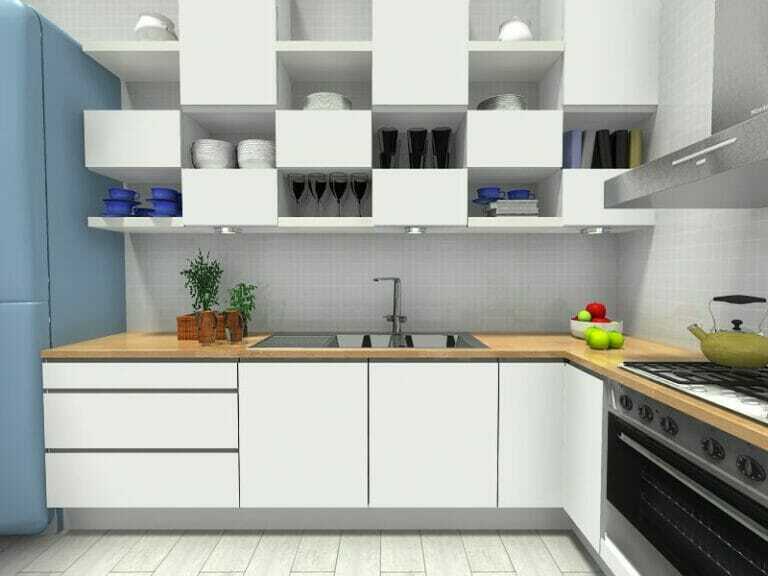 With RoomSketcher Home Designer you can create your kitchen design – quickly and easily. Create a Free account and start designing.